An alert published by the National Institute for Occupational Safety and Health (NIOSH) offers insight into the connections between respiratory diseases and dampness in office buildings, schools, and other nonindustrial workplaces. 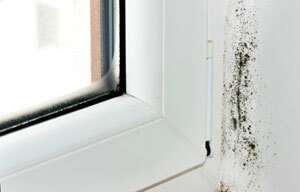 The alert, released in November 2012, summarizes findings of several research studies conducted ver many years to explain the respiratory risks of exposure to dampness and how to prevent related problems. According to the NIOSH report, working in damp buildings has been associated with asthma, hypersensitivity pneumonitis, bronchitis, rhinosinusitis, respiratory infections, and other respiratory symptoms. Studies found that people with asthma or hypersensitivity pneumonitis can develop more severe diseases if they do not recognize the connection between their illness and dampness, and allow the exposure to continue. The alert explains that building dampness often occurs due to poor design, construction, or commissioning of new buildings, improper maintenance and operation, and weather. It also states, "The best current evidence suggests observations of dampness, water damage, mold, or mold odors are the best indicators of damp­ness-related health hazards, rather than microbiologic measurements." Take time to look for evidence of dampness in facilities, remediate respiratory risks, and inform workers of the hazards of dampness in the workplace. Provide the proper safety supplies, including protective clothing, gloves, and respiratory protection to employees performing inspections that could be at risk for exposure to mold.